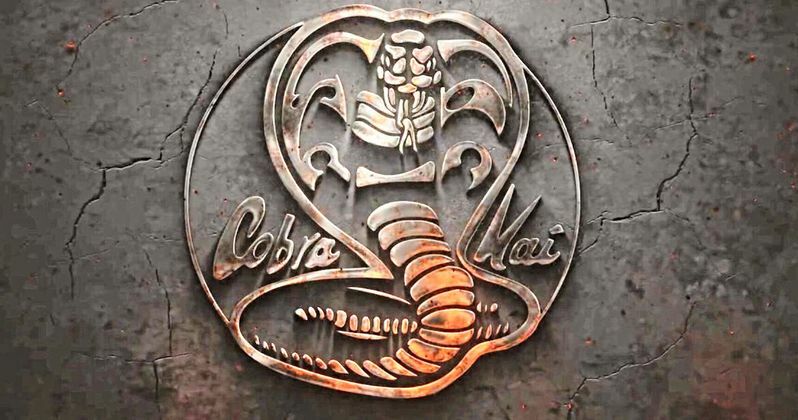 There are SPOILERS ahead for Cobra Kai, so read at your own risk. As far as villains from the 1980s are concerned, Martin Kove's John Kreese from The Karate Kid is one of the best. Kove's performance was so real, that many believe he's like that in real life, which is hardly the case. The 72-year old actor makes a brief appearance in the new YouTube Red series Cobra Kai, setting up a very intriguing second season that has just been officially confirmed by the streaming service. Now that Season 2 is in the works, Martin Kove has some ideas and imagines the show even making it to Season 3. Now that Cobra Kai has been given the green light for Season 2, Sensei John Kreese will be back with Johnny Lawrence. Throughout the first season, the audience is led to believe that the former owner of the Cobra Kai Dojo is dead. However, he makes an appearance at the very end of the last episode, stepping out of the shadows, making Johnny look like he's just seen a ghost. So, what is John Kreese up to 30 years later? In a new interview, Martin Kove talks about the series and what could be in store for his character 30 years later. He had this to say. "His double-sided vulnerability. What I mean by that is, I would love to see this character evolve with a woman. I have no idea what kind of woman. But at the same time, be vulnerable to her, and she brings out the better part of him. But at the same time, he retains this darkness with regard to competition, and how he feels about losers and winners... It would be very interesting for me to play that as an actor." One of the best things about the Cobra Kai series is the way that it flips the script. The series is done in such a loving way with the perfect amount of callbacks while changing up the formula in new and unexpected ways. Since John Kreese will play a major part in Season 2, Martin Kove was asked if Cobra Kai creators Jon Hurwitz, Hayden Schlossberg, and Josh Heald told him anything specifically about Kreese 30 years later and they did, but not very much. Kove explains. "No, they really didn't. I said, very clearly to them, is this character going to be a villain. And they said, very, very clearly, that he's going to be a little bit good and a little bit bad. (laughs) That's all I got." As far as Season 3 of Cobra Kai is concerned, Marin Kove believes that it will happen and admits that he was weary of stepping into the series so late. However, he trusts Jon Hurwitz, Hayden Schlossberg, and Josh Heald as well as Ralph Macchio and William Zabka, whom he has been friends with for over 30 years now. And while it was mildly disappointing for the actor to get introduced so late, the next season, and even the one after that, won't be that way. Kove says. "These three men know more about our characters than we ever did and they convinced me to it. As much as I did not want to just drop in on episode 10, they made it make sense to me. It's such a great show and I would be amazed if we don't get picked up for a third season." While Martin Kove was reluctant to join Cobra Kai so late in the game, it left audiences with an epic cliffhanger. The return of Sensei John Kreese is a big deal and we're about to see Johnny Lawrence confront his old Sensei 30 years after he choked him out in the parking lot after losing to Daniel LaRusso. Cobra Kai Season 2 can't come soon enough. You can read the rest of the in-depth interview with Martin Kove over at Forbes.